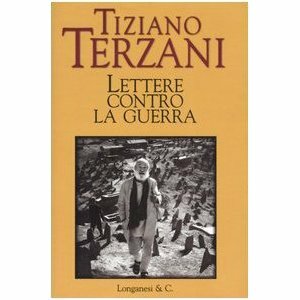 Once upon a time, there was this great Italian journalist and World class traveler Tiziano Terzani who happened to be in Afghanistan when American troops landed in October 2001. His book Letters Against the War didn't get published in America and the UK. I discovered it when Swiss friends sent me copy. Here's the fascinating story of that book as told by the author as a preface. the year that is about to end has been dramatic for all of us. Never before has each one of us been so unequivocally confronted with the question of war and peace. Back from a long trip into Pakistan and Afghanistan, I started the year publishing, first in Italian and then in various other European languages, a booklet dedicated to my three year-old American grandson, Novalis. The book “Letters against the war” was meant to raise questions about the way to face the situation created by the events of September 11th and to suggest that violence might no longer be the best solution for this and future conflicts of mankind. The book was an immediate success in Italy (for 18 weeks it was among the top 10 best sellers). It was well received, reviewed and sold in France, Germany and Spain. Somehow, continental Europe with her, by now almost genetic, memory of war and destruction, seemed extremely responsive to the neo-pacifist appeal of the “Letters”. Wherever I went to talk about my experiences as an old war correspondent turned “Kamikaze for peace” (this was the title of a one hour documentary by Swiss TV) big crowds gathered to listen and to discuss. Unfortunately this was not at all the reaction of the Anglo-Saxon world, particularly of the U.K. and the U.S.A. whose governments and press have taken a very bellicose, pro-war stand. All attempts to have the “Letters” published in English failed. All the English and American publishers who has printed my previous books responded with a “No, thank you” note. I did not give up. I had the book translated myself and offered it again to all kinds of publishers in London and New York. To no avail. Even my offer to give the book for free failed. Finally, a publisher in New Delhi (India Research Press) dared to take up the offer and his Indian edition remains the ONLY English version of the “Letters against the war” available in print. Now to allow as many people as possible to have access to the book, I decided, together with Massimo De Martino who in his spare time, generously run the T.T. fan (“fun”) Club founded three years ago, to post the whole book on the Internet. You can download it for free and I would be most grateful if you circulate text among your friends and...”adversaries”. It is time to think, to discuss, to argue and finally to raise our consciousness and to save ourselves. Nobody else can do it for us. Publié par Unknown à l'adresse 11:30 p.m.